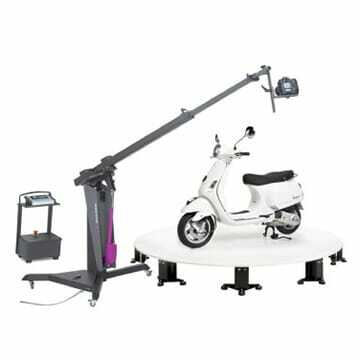 Our XY system doubles as a car turntable for displays and an automated photography studio. 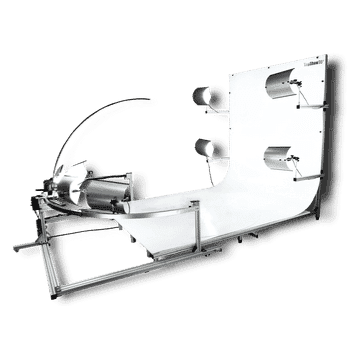 Rotos are perfect for customized or unique parts where the end user needs to understand the entire product before they make a purchase. Easily catalogue all of your parts both small and large. Car turntables are the centrepiece for automotive dealerships. They grab everyone's attention who steps through the doors. With our modular XY system you can remove the background and lighting when you're done shooting all of your vehicles. The articulating camera arm can be utilized with a smaller modular background to shoot other products as well! Having beautiful vehicle and automotive part photography will help you sell more online, and bring more people into your store. How Do I Turn My Products Into Rotos? Send us your products and we'll take care of the rest. Contact us for a quote or a sample of your product as a Roto! RotoImage sells a variety of different equipment systems so you can have your very own modular photograph studio! Too many products to ship? RotoImage will come to you and Roto your entire inventory for you!